Drive your way to #TheNextGalaxy! 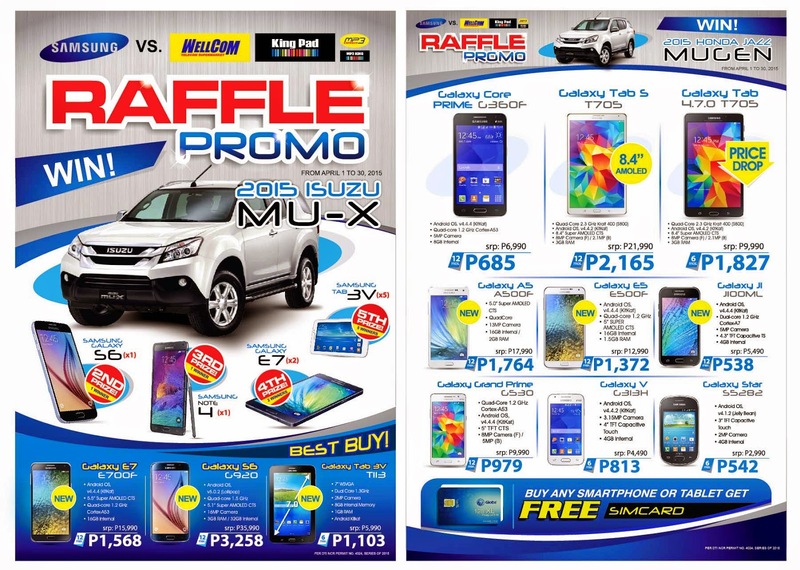 Drive home a new SUV or have the newest Samsung Galaxy S6, as Wellcom and Samsung unveil its Summer Raffle promo. The one-stop electronic gadget shop in the Philippines teamed up with the No.1 Android phone manufacturer to welcome the summer with the hottest raffle contest for the season which will run from April 1 up to 30 2015. The Summer Raffle Promo is open to anyone. 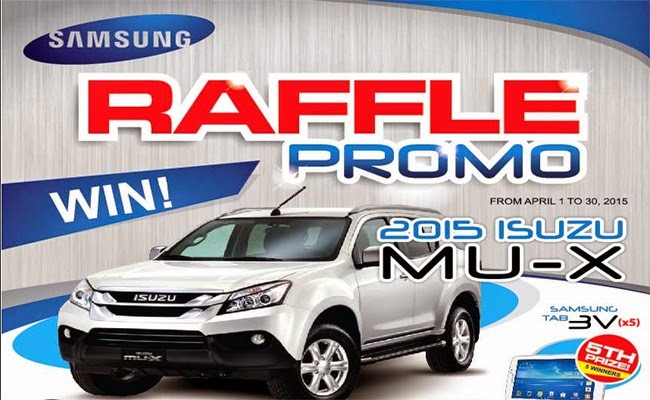 To join, simply avail Samsung products from Wellcom stores as well as Kingpad, Wellcom Express, Kingpad kiosk, MP3Express, MP3King, and Samsung concept kiosks to earn a raffle entry. A purchase of 4,999 and below is entitled to one raffle coupon; 5,000 -14,999 worth of purchase is equal to 2 raffle entries while 15,000 – 29,999 earns you 3 coupons and more than 30,000 worth of items gives you 5 raffle tickets. There will be no limit to the number of transactions that will earn raffle entries, so keep on shopping for more chances of winning. For more information, you can visit a WellCom Telecom Supermarket on Facebook. 1. In order to join, one must buy Samsung products from WELLCOM, WELLCOM Express, KingPad, MP3 Express, MP3 King and Samsung concept kiosks.